How do you know when your RPG has "made it" in Japan? 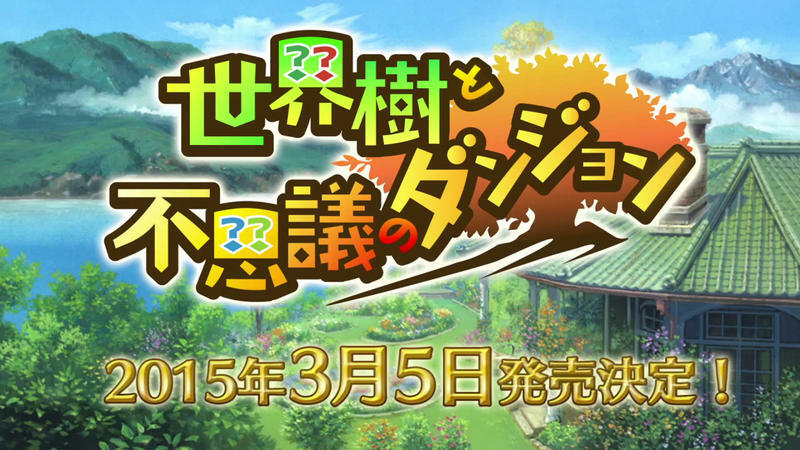 When Chunsoft steps up to turn it into a Mystery Dungeon game, that's when! The franchise started off as an original series staring a character named Shiren, but its roguelike formula has since been simplified for younger audiences and loaned out to the likes of Final Fantasy, Dragon Quest, and most famously Pokemon in the U.S.
Now, Atlus' popular handheld series Etrian Odyssey is going to join those ranks, finding itself it mighty fine company, indeed. As if confirming Etrian Odyssey V with a teaser trailer over the weekend wasn't exciting enough, Atlus also released a full on gameplay trailer for this other Etrian Odyssey x Mysery Dungeon crossover. As mentioned before, the Mysterious Dungeon games are "roguelikes" in that dungeon exploration is played out in overhead maps with randomly generated grid-like levels. Every time your main character takes a step or makes an attack with the simple one-button combat, a turn passes in the world, and every enemy also takes a turn at the same time. This can lead to both serious planning or improvisation if you find yourself in a jam, trapped against a wall or weakened from a previous fight. And as with most Mysterious Crossover games, this simple RPG setup will adhere to the rules set by the coinciding franchise. In a Pokemon Mysterious Dungeon game, you can recruit other Pokemon to help you in battle, just like in the main franchise. As for Etrian Odyssey, the series has a history of great RPG mechanics, character creation, and scrounging up loot from dungeon floors. My guess is that it will take the best points from these games, strip it of its difficulty, and simplify them to make them easier for kids. This won't be a substitute for the real thing, nor will this be a great place to kick off with the series. Etrian Odyssey IV and Etrian Odyssey Untold do a wonderful job of playing the role of an entry level game. This crossover is just going to be some mindless fun and fan-service to its cult following. I might check this one out, but I always have Azure Dreams or Shiren the Wanderer if I ever need my roguelike fix. More information as it becomes available. Japan has the release date set for this March, so we can probably expect to see it probably before the summer is out if Atlus decides to localize it.